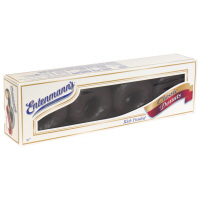 I'm so happy that Jeff is back cause he brought me a box of Entenmann's chocolate donuts! I know I shouldn't be indulging, but I haven't had a decent pastry since I moved to this country. Many people would disagree with that statement, most using Marzipan Rugelach in the shuk in Jerusalem as their prime example, but there is just something about Entenmann's that I love. I think it's a family thing, cause my sister and her kids love the brand too! Anyway, I'm hoping to meet up with Jeff tomorrow to catch up and get my goodies. Don't worry Dad, I plan on sharing the wealth!! I'm tired again. I have got to stop staying up late on the phone with people back home cause the going to bed late and waking up early is not helping me at all. Today was Philosophy class and it was so good. I don't know why people don't enjoy my Professor, I'm so enthralled with the subject material that I find everything he says fascinating. I don't participate this much in my other classes, and I'm hoping by the end of the year Professor Harvey and I will have a relationship where I can continue to talk to him about some of these texts we're delving into. Tonight, Vera was supposed to come to clean my apartment and so I came home from school and cleaned up a bit beforehand. I know, sounds counterintutive. Who the heck cleans before the cleaning lady comes? To be honest, all I do is make sure nothing is cluttered so she can do the heavy duty tasks such as washing down my bathroom and the floors. Anyway, it's already 10:30 p.m. and I'm wiped. I have a busy day tomorrow so I'm going to get to bed. Song of the day is Side by Travis. marzipan rugelach rocks! i love it!! sooo tasty!